When it comes to DNA testing some people might not be aware of the different types of tests available and the masses of information that it can offer. Usually they might only have heard of paternity testing, which is a simple and extremely reliable way of proving who someone’s father is in the face of uncertainty. Part of the reason paternity tests are so well-known is because they are a staple of television soap operas and daytime shows such as Jeremy Kyle. In the real world, paternity tests can prove vital in establishing a relationship between father and child. There are even prenatal paternity tests that help determine paternity before a child is even born. These tests are normally carried out using amniotic fluid but sometimes placenta tissue is used. There are plenty of other types of DNA tests that can establish whether you have a genetic relationship with someone. For example, there is maternity testing. Although this isn’t used as frequently as paternity testing, for obvious reasons, in certain cases it proves just as useful. There are also tests to see whether someone is likely to be a brother or sister, which are fairly accurate, as well as tests to determine whether someone is an aunt or grandparent, although these are not as reliable. When it comes to proving a different type of relationship altogether, there are also infidelity tests. 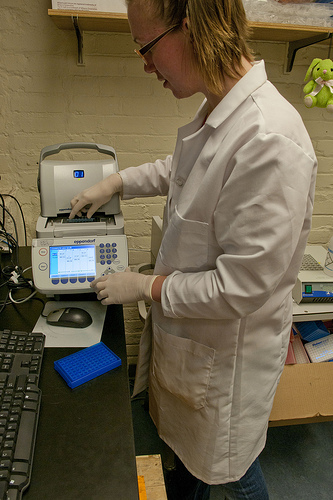 This type of test can confirm whether male or female DNA is present on an article of clothing. People using such tests should bear in mind that the presence of such DNA isn’t absolute proof that infidelity has actually occurred, but it may be a sign that you should discuss your relationship or seek further advice. On the other hand, if an infidelity test turns out negative it can provide someone with a great deal of peace of mind. However, DNA tests can be used for a wide variety of other concerns, including a propensity towards certain diseases. For example, DNA tests can show whether someone is a carrier of a genetic disease – a carrier is unaffected by the disease, but two carriers of the same disease could produce a child that expresses it. Similarly, prenatal diagnostic testing can determine whether an unborn baby has a serious genetic condition. There are also several different ways DNA tests are carried out. For any test to be legally binding (such as paternity tests) a strict set of procedures must be followed, including having the DNA collected by a professional. You can get home-testing kits, which are much cheaper and don’t involve a trip to a special clinic as you simply collect the DNA yourself and send it to a lab to have the results analysed. These tests, however, will not hold up in court, although they may prompt you to have further, more rigorous tests carried out. These are just a few of the reasons someone might want to take a DNA test. There are tests to determine your ancestry, tests to determine whether someone was at a crime scene, tests for possible diseases, and many other types of test. In addition to this, with scientific breakthroughs occurring every year, the tests are getting cheaper, easier to carry out, and more accurate, allowing more and more people to benefit from the information stored in their DNA. This article was written on behalf of Cellmark, the UK’s most recommended DNA testing service.